2. 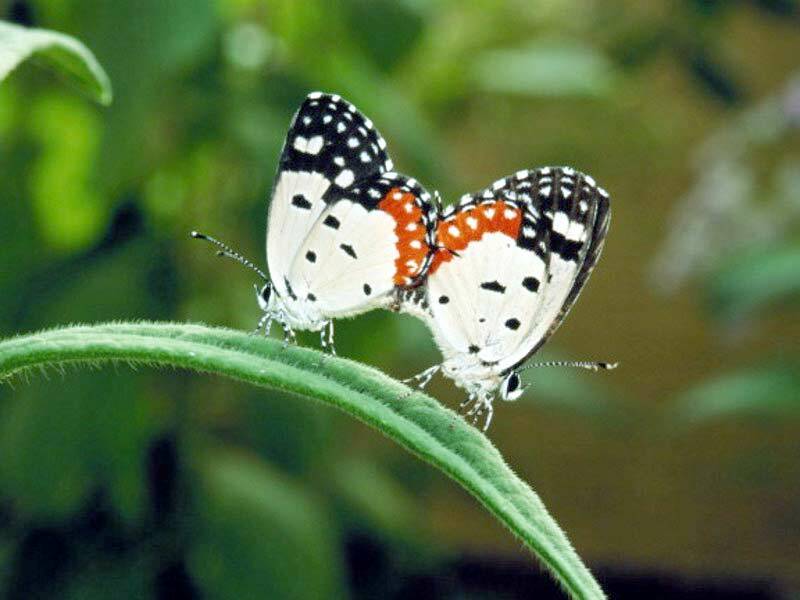 Full scale image shown of: Two butterflies mating on green pedicel. Picture Category: Butterfly Colour .